Unless digestion and absorption of the foods we eat are efficient, digestive disturbances result. Though some foods digest more completely than others, no foods are “hard to digest”. However, when the diet has been inadequate, both digestion and absorption become faulty. A doctor, lecturing on nutrition, stated that hydrochloric acid of the stomach was so valuable that law should prohibit the sale of every antacid preparation. Too little impairs protein digestion, vitamin C absorption, allows B vitamins to be destroyed and prevents minerals from reaching the blood to the extent that anemia can develop and bones crumble. When digestion is below par, during illness or recovery from an inadequate diet, digestion and absorption will only be a matter of time if an adequate, nutritional diet is kept. Digestive enzymes are necessary before proteins can be converted to amino acids, starches and complex sugars to simple sugars, and fats to fatty acids and glycerol (glycerin). These changes must take place before the nutrients can enter the blood without causing allergies. The stomach, the small intestine and the pancreas normally produce liberal amounts of digestive enzymes, but a wide variety of nutritional deficiencies can decrease or prevent the synthesis of these enzymes. In this case, foods can be neither digested nor absorbed efficiently, and putrefactive bacteria living on food left undigested form tremendous amounts of gas. For example, beans, notorious for gas forming, contain a substance that inactivates a single protein-digestive enzyme, trypsin. Fat splitting enzymes are essential to digesting fats and absorption of carotene and vitamins A, D, E, and K.
If digestive disturbances keep you from eating an adequate diet either give it time or take enzyme tablets temporarily. Discontinue them within a month. Normally, rhythmical contractions of muscles in the walls of the stomach and small intestines continue for hours after eating, mixing the food mass with digestive juices, enzymes and bile bringing the digested food into contact with the absorbing surface of the intestinal walls. A potassium deficiency causes the contractions of these muscles to slow way down or become partially or completely paralyzed. Such a deficiency occurs following cortisone or diuretics and the consumption of highly refined foods, or too much salt. In this case, gas pains become excruciating. Ample potassium is obtainable by simply eating fruits and vegetables and avoiding refined foods. 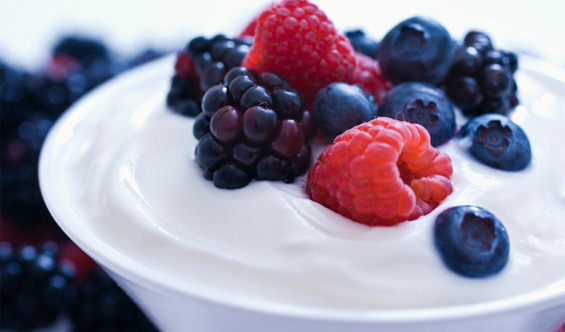 Vitamin K and all B vitamins can be synthesized by certain intestinal bacteria from yogurts (live & active cultures) and acidophilus milk, which are killed by oral antibiotics causing severe deficiencies. The bacteria population of the intestine becomes exclusively lactic acid organisms, which destroy the gas forming, disease and odor producing bacteria. This desirable bacteria live only on milk sugar and can die within five days unless milk in some form, or milk sugar is supplied them. Carrots, cabbage and other roughage vegetables markedly increase both the growth of these beneficial bacteria and the amount of B vitamins. When putrefactive bacteria are allowed to grow they produce histamine, causing allergies and other problems. Gas basically is a sign that putrefactive bacteria are being fed instead of your body. In short, recovery from ill health or inadequate diet cannot be rapid until both digestion and absorption are efficient.